The choice is yours. Where would you like to go next? Head downtown for a city-trip, venture to the beach, or maybe an eclectic mix that somehow manages to combine the two? What to do while traveling greatly depends on the type of destination. Obviously a beach destination will inspire me to do and see different things than a city trip to New York. Still, my approach to deciding what to do, regardless of the destination, is roughly the same. While I’m one of those people who actually loves to spend time on the beach, I do prefer to select a beach destination that has a colorful cultural offering within reach as well. This allows me to go explore to my heart’s desire, and then rest up and catch some rays on the beach. What I’m interested in doing the rest of the day depends on whether the place I’m visiting is brand new to me, or if I’ve been there before. If it’s a new place, I pick and choose a few things from any top-ten list in a travel guide book. To me it’s a great way to start exploring unknown territory. It helps me to find the popular tourist spots and get them off my list quickly. I’ll also mix in some non-top-ten places that appeal to me, or were suggested by friends as a “must see” before I left. When that’s all done I just wander off the beaten path, and end up finding the greatest little hole-in-the-wall shops and eateries. If, on the other hand, I’m going back to a place I’ve been to before I usually don’t re-visit many touristy places I’ve already seen. Although I love the Eiffel Tower, I’ve only made the climb to the top once or twice, as I don’t enjoy the long line-ups that go hand-in-hand with world-famous tourist spots. Besides, the Eiffel Tower can be seen from most corners in Paris as long as I’m somewhat elevated. Most rooftops or anything with a view will do. By seeing the famous Eiffel Tower from different angles I’m creating a different experience every time. In the end, deciding on what to do all comes down to a mix of research, and suggestions by friends as well as locals. If I can, I’ll start my research early while putting together the itinerary and booking the trip. Other times I didn’t even open a travel book until I was already in the plane headed for my new home away from home. Leaving things to the very last minute can lead to great results, and on this particular trip I simply jotted down a laundry list of places to see and neighborhoods to visit. I create such a list every time I travel, whether it’s weeks before or on the plane ride there. It gives me some peace of mind that I’ll see the things that are most important to me. I don’t want to miss out on seeing something unique I was so close to, but only learned about when I was back home on the other side of the planet. I don’t use the list to plan out every minute of every day; it’s just a list of possible places to see. If I make it to about eighty percent of the places listed I consider myself a happy camper, or traveler. It’s always good to have a few things left to see so I have a reason to come back another time. Of course there are many more. Feel free to share your favourite beach cities in the comments. When you think about your next vacation, are you fantasizing mainly about relaxing on a nice stretch of white sand, or partying it up in Las Vegas? 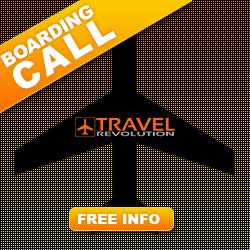 Let’s get started on your travel research. The Travel section of Living by Experience will help you make the most of it. 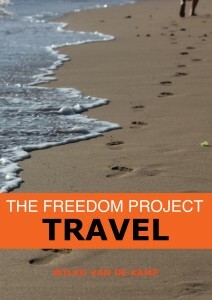 For a limited time, I’m giving away my Travel hacking book for free. I’ve paid for these books myself to help spread the benefits of travel. All I ask you is to pay for shipping. Supplies are limited – grab yours while you can.